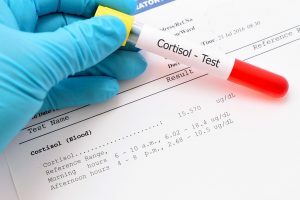 Cortisol, known as the “stress hormone” is produced in the adrenal glands and regulates many processes in the body in an effort to maintain homeostasis. 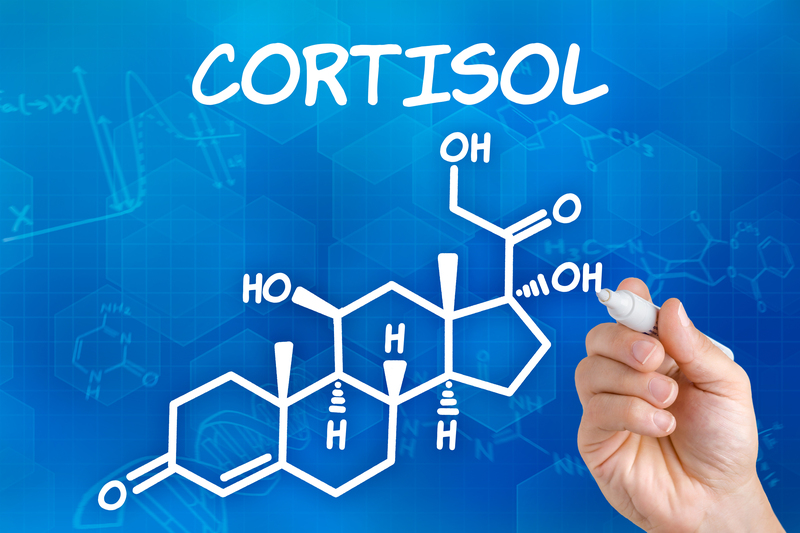 From a dietary prospective, cortisol is also critical in nutrition as it selects the right carbohydrate, fat, or protein needed to meet the physical demands of the body. 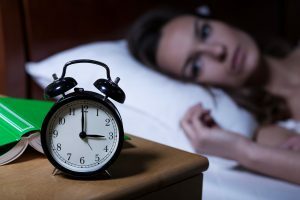 Throughout the day and night along with circadian rhythms, normal cortisol levels fluctuate, peaking in the early morning at about 8am and dropping to their lowest levels by about 4am. Just the event of waking up in the morning triggers the release of cortisol in the body, as does exercising. 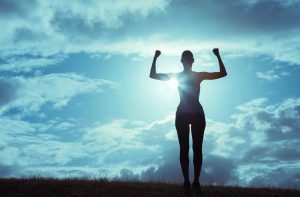 When stressful events occur however, the adrenals release cortisol into the bloodstream in an effort to prepare the body for fight or flight. This floods the body with glucose providing an immediate source of energy to large muscles, also inhibiting insulin storage. Cortisol works to narrow the arteries as epinephrine speeds up the heart rate, causing blood to pump faster and harder through the body as well. Although it is necessary for the adrenal glands to produce more cortisol as a direct response to stress, it is also very important that the body returns to a normal state of rest following a stressful event. 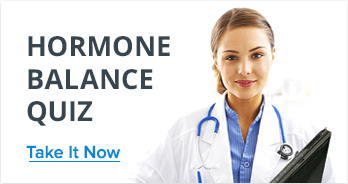 This allows cortisol levels to return to normal. As the body releases more and more cortisol in response to stress, fat storage occurs deeps within the abdomen. Additionally, high blood glucose levels coupled with insulin suppression lead to glucose starved cells. These cells, in need of energy send intense hunger signals to the brain, causing individuals to often overeat. Any unused glucose is stored as fat as well. Cortisol is also known to affect appetite cravings for high calorie foods, as well as modulate other hormones known to stimulate the appetite.